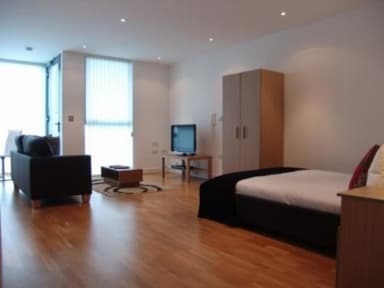 Quay Apartments in Salford Quays have high-spec furnishings and fittings, with secure on-site parking and free Wi-Fi. Quay Apartments have balconies and a Conran-designed, fully equipped kitchen. There are stone worktops, solid oak screens and some hardwood floors. Offering 3 types of apartments, Studio Apartments, 1 Bedroom Apartments and 2 Bedroom Apartments you can sure to find the right apartment that suits your needs. 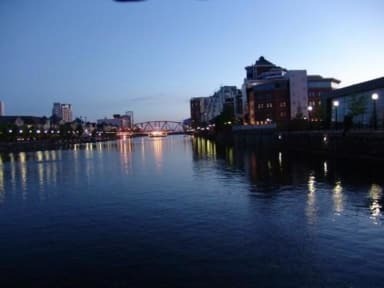 Salford Quays is a cultural hub in the Northwest, offering art, retail and recreational venues in a thriving waterfront quarter. It is close to the free way, and just west of the attractions in the centre of Manchester. We accept payment by debit or credit card only. Please be aware that the hotel does not accept cash.